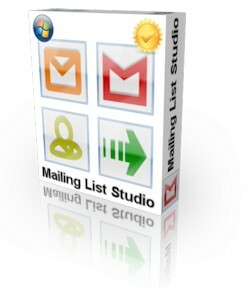 Mailing List Studio is the best software for sending newsletter. It allows you to create and easily manage your email marketing campaigns. Thanks to Mailing List Studio will have everything you need in a single product, without subscriptions and monthly costs. Your data will remain safe inside your computer, without necessarily having to upload data to the Internet. You can manage your mailing lists, create professional messages, send newsletter and analyze the results thanks to advanced statistics. 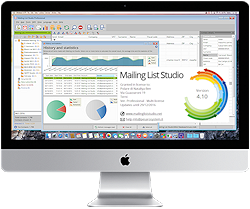 The new version of Mailing List Studio 4 is available in both Freeware that in the Professional version, with no monthly fees or subscriptions, with a one-time payment and unlimited license doesn't expire. In addition to this we have a protection of your investment guaranteeing the free updates for one year. Now you can also manage and send SMS campaigns. You can program a delayed transmission at a specified time and date, and even send personalized SMS for each recipient. The countless features of Mailing List Studio make it a professional and dedicated software. Yet its price is that of a Utility. Try it today! 5 minutes of video for an overview of the main features of Mailing List Studio. Is recommended viewing in HD and full screen. 19 - Create Account and Send SMS - How to create accounts, and how to send SMS. 20 - Historical Statistics on mail and SMS - Guidance on historical mailings SMS and monitoring of transmissions scheduled. 21 - Newsletter Builder - New editor of structured messages in blocks to create messages compatible with all reader mail. 22 - Importing layouts - Very useful feature for importing layout built by your designers and make them compatible with all reader mail. 23 - Planned sending - The sending of the newsletter (and SMS) can also be scheduled at some time and date. The scheduler will make mailings at the appropriate time. Valid only for a few days. Hurry!. Since 2003, the leading software for managing mailing lists and send newsletters and SMS. Born in 2003, Mailing List Studio is the first software for managing mailing lists. In last years, the software has never ceased to improve by listening to the advice of the users. 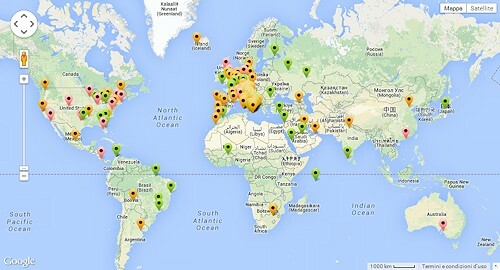 Since the first publication in today thousands of users around the globe use Mailing List Studio for sending newsletter.